LOLGOP ‏@LOLGOP 6h : Is it bigger than Watergate, Iran-Contra or Abu Ghraib? Republicans only have Republican scandals to use as reference points. 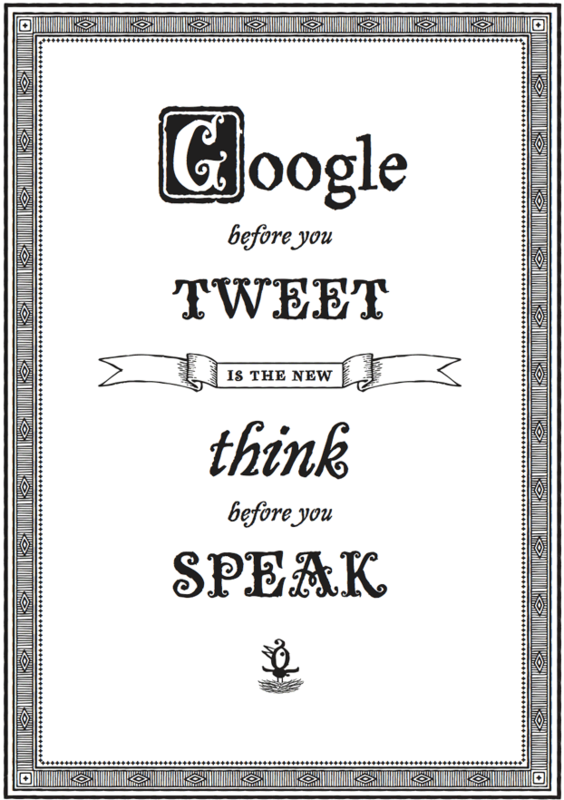 “Google Before You Tweet” Is The New “Think Before You Speak” [PIC]~ Jonathan (Jon) Parker, via Joe Newton [Best attribution I can find – Mike]. “I reject your reality and substitute my own.” ~ Adam Savage, Co-host of Mythbusters, expressing his disappointment when a result did not turn out as he predicted.